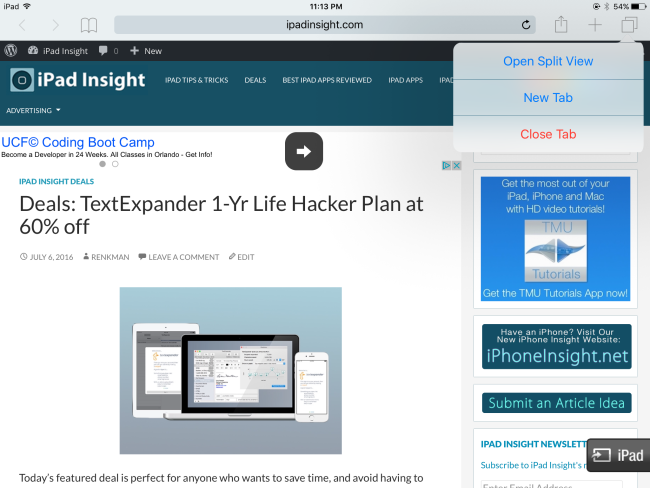 Make sure your iPad is in landscape mode, then open a Safari tab, and choose from one of four different methods to activate the Split View. 4> Lastly, if you have a BT keyboard, you can use the Command+N keyboard shortcut to invoke a Split View Safari window. 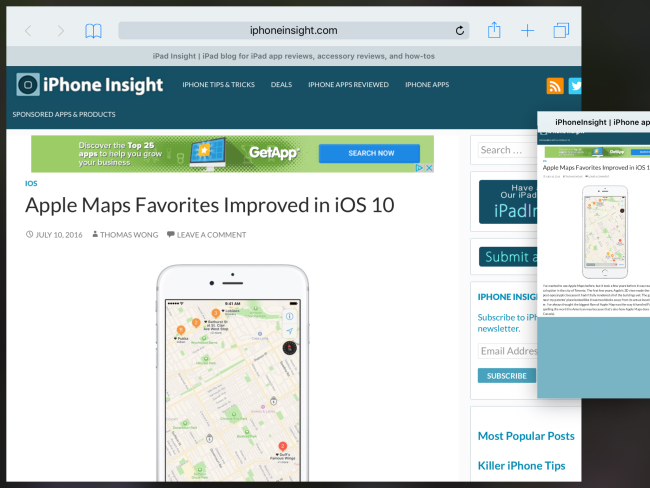 In Safari Split View each window has its own address bar and share features like any open window. 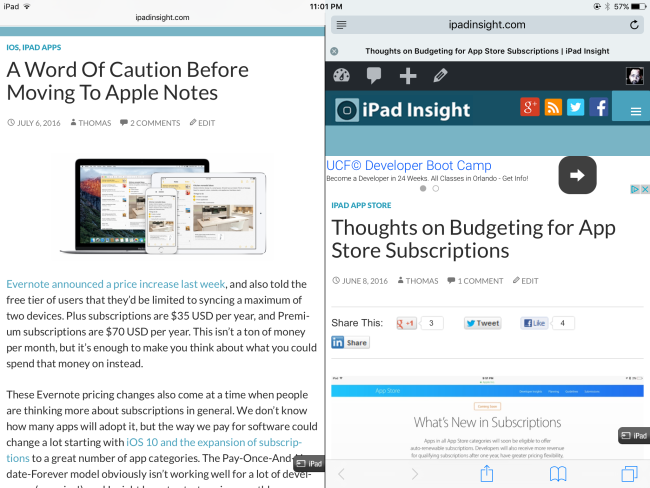 Think of it as running two completely separate Safari “Apps” just side-by-side. 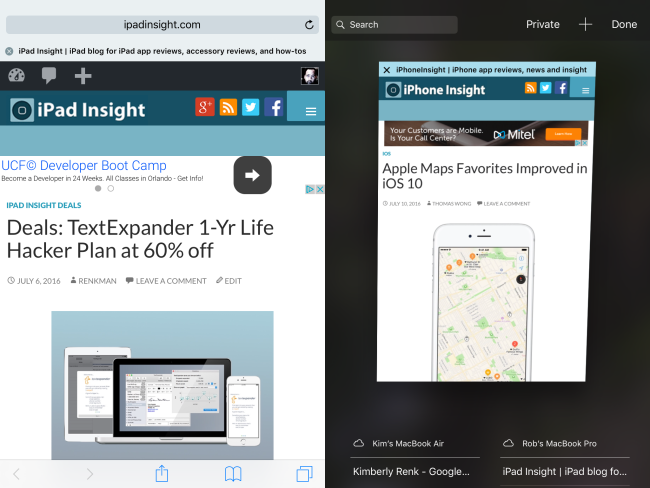 In addition, you can move tabs from one Safari window to the other by manually dragging them. You can even merge them all into one window by long pressing on a tab button in either view and selecting Merge all Tabs. 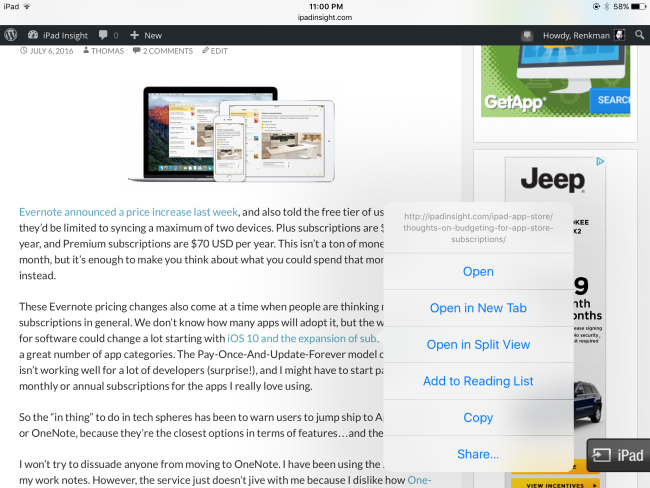 Additionally, links can also be selected in one window and opened in the other. What about Private browsing windows? While you can move like tabs between seperate windows, (Private to Private, and Regular to Regular) tabs can only be moved between browsers windows with the same status–no private to regular or vice versa. There is an exception to this rule, though. If you have a Private window open on one side, and Regular on the other, and you select a link on the Private side and choose–open on other side, it will open in the mode the receiving window is set in.